We are once again having the peace and happiness of reaching Eid al-Adha, the days of joy and excitement, once again. Eid al-Adha brings us each year one of the five fundamental prayers in Islam, namely the ritual of hajj. It offers us the ritual of sacrifice as a means of getting closer to our Lord. 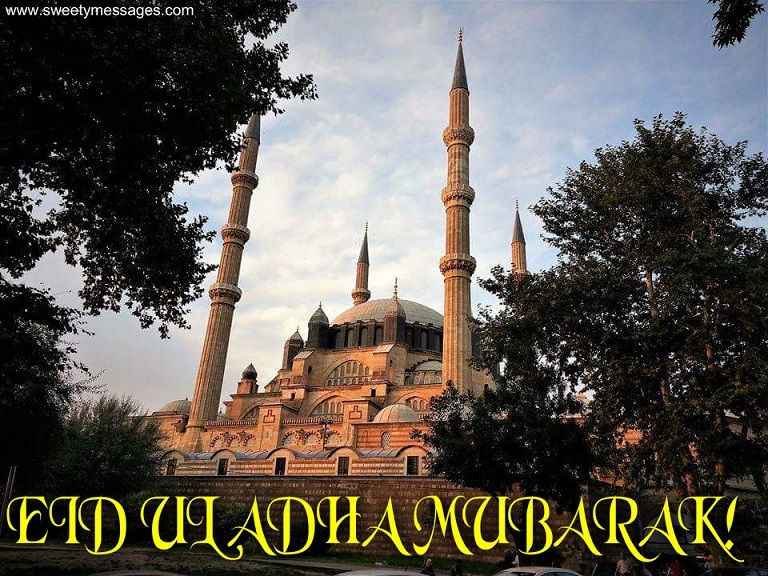 The Eid reminds us again the loyalty of Ibrahim and the submission of Ismail. It brings once again the image of our Master Muhammad Mustapha’s (pbuh) faithfulness, generosity and his firm stand as a believer and his exemplary life right before our eyes. Eid al-Adha is the Eid of peace, well-being, brotherhood, unity and solidarity. It is the Eid of those who set aside all differences and reached unity in abundance, those who know themselves and their Lord, those who contemplate and consider and those who submit themselves to their Lord with sincerity. It is the Eid of those who cleared their mind of evil, cleaned their heart from spiritual stains and those who refrain from all sins. It is the Eid of those who discipline their desires, those who hurt no living being and those who strive to be trustworthy. This is the Eid of those who dress in patience and praise, those who live a life in accordance with the reason and purpose of our existence. This is the Eid of those who keep our values alive; those who get close to the poor, lonely, orphan and desolate, and those who are the help to the helpless. Eids are times when we should get even closer to our Lord and each other. Eids are the days where feelings of unity and solidarity, sharing and helping are at their peak. Eids are the days where we should remember that everything is a trial in this journey of life where there are both happiness and sadness. So come! Let us put a smile on the faces of our parents, our spouses and children, our brothers and sisters and our neighbors. Let us carry the joy of Eid to the lonely, desolate, poor, destitute and elderly. Let us mend and repair broken hearts with the blessings and beauties of the Eid. 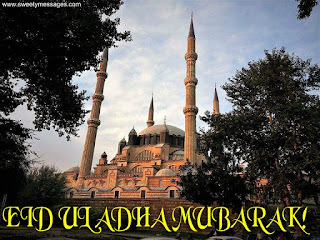 Let us end the resentments, hard feelings and conflicts today that put a shadow over our brotherhood and joy of Eid. Let us not forget that each gift we give in this Eid will get us closer to our Lord’s countenance. The most beautiful gift we could give in this Eid is a sincere salutation from our hearts, our earnest prayers, and our smiles and visits. I wish a blessed Eid to our honorable nation, our people abroad, all our brothers and sisters in the region of our hearts and the realm of Islam. The heart finds it’s beloved, let it be this Eid! The servant finds his sultan, let it be this Eid! Gloom and sorrow be gone, curtain of the heart be lifted! All sins be forgiven, let it be this Eid!